Tana French’s latest novel marks a departure from the successful author’s usual crime fiction- turning from the detective to the potential suspect. 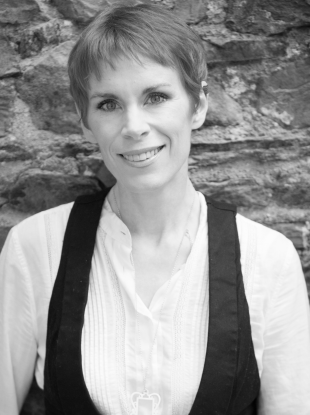 FROM BEING A poor actor in a rented granny flat to being dubbed the “First Lady of Crime”, author Tana French is able to reflect on coming an awful long way as she publishes her latest book. Her novels have won acclaim Stateside and in the UK and Ireland, from her bestselling 2007 debut In The Woods right up to her latest efforts and it is expected that her 7th book The Wych Elm will follow on from previous successes. Prior to writing In The Woods, French was a “seriously broke” actor – “and I mean seriously broke, sometimes it was a choice of milk or bread this week” – but can now look back on six successful novels across a host of different countries, with a TV adaptation starring top Irish talent hitting our screens later in the year. The Wych Elm marks a departure for French from her previous novels. It is the first to step outside the fictionalised world of the Dublin Murder Squad and look at the situation from a whole different angle. Instead of being told from the perspective of a detective investigating a grisly crime, we step into the shoes of Toby, a young twenty-something who works in PR for a theatre company. He’s a man for whom everything is going along quite well indeed before a burglary at his home leaves him severely injured. Toby goes to recuperate at a family member’s stately house before an even more grisly discovery is made buried beneath the huge Wych Elm tree. As the young, affluent man is faced with crises on a scale he hasn’t yet experienced in his life, he soon finds the walls begin to close in around him. French said: “He had to be lucky in every way. You rarely get someone who’s rolled sixes on every front, but that’s who Toby is. He’s from an affluent family, he’s white, he’s male, he’s straight, good looking and intelligent. And he’s mentally and physically healthy… up until the point he isn’t. A common thread running through French’s books is often a protagonist whose memory becomes fractured and has a traumatic effect on them – Rob Ryan in In The Woods has a traumatic childhood experience that he cannot quite recall, the characters in The Likeness consciously choose to not discuss their past and Mick Kennedy in Broken Harbour is dealing with his own traumatic experience. French – who was born in the US, and lived there, Italy and Malawi earlier in her life before settling in Ireland some decades ago – said it could be this moving around that has made her zero in on the importance of a person’s memory in her books. It is this sense of disconnect that permeates the Wych Elm as Toby struggles to remember what role he may or may not have played in a terrible crime. “I’ve always been fascinated by the link between past and present, and memory and identity,” she said. How much of it is built from what we remember, and what happens when we lose hold of parts of that? How do you reconstruct yourself? Is it possible to do so? Or are you always going to be working around that crack? Situating her novels in Ireland provides a pertinent backdrop to explore these ideas, according to French. And she’s not the only one to use crime fiction to explore these ideas in the past decade or so either, as the demise of the Celtic Tiger coincided with a boom in Irish crime writers gaining notoriety from French to Liz Nugent to Arlene Hunt to Declan Hughes to Alex Barclay. “I think Irish society has a good climate for crime fiction,” she said. “Irish society has been so based on a culture of secrecy for so long… The minute we’re not under British rule, you’ve got the Catholic Church. It enforces this concept of Ireland. ‘It’s a perfect idyllic Catholic society, and if there’s anything that’s not idyllic, you keep your mouth shut. Whatever you say, say nothing.’ And there are further layers of secrets, really nasty dark ones being kept hidden in the name of this perfect society. But in the past few decades, people have started saying ‘no, we’re not going to keep these secrets anymore’. Everything needs to come to light. We need to be honest about our past and present in the clear light of day, and not pretend it didn’t happen and saying ‘what babies, what septic tank’. If a society is beginning to explore its dark places, that’s a perfect climate for crime fiction. Over 10 years on from publishing her first book, French is eagerly awaiting the TV adaptation of In The Woods and The Likeness. Starring the likes Killian Scott, Sarah Greene, Moe Dunford and Tom Vaughan-Lawlor, French said she is excited to see the finished product but said that she had deliberately taken a step back from being involved in the series creation. With The Wych Elm barely beginning to hit the shelves, French has already begun her next book. Her hopes for the next one? Looking back, she’s still dismissive of the idea of her being a famous author, but remains keen on continuing to tell these stories. And, like Toby in the Wych Elm, Tana French rolled a six. The Wych Elm is published by Penguin Viking. Email “'Irish society was based on a culture of secrecy for so long... but people have started to say no to that'”. Feedback on “'Irish society was based on a culture of secrecy for so long... but people have started to say no to that'”.